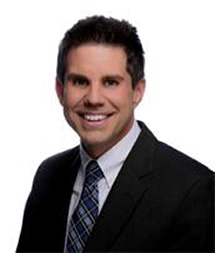 Tyler Ryan joined the cast of Good Day Columbia as a host and anchor in early 2011, after many years as a radio and television personality in the Midlands, Charleston, New England, and as far away as the Cayman Islands. In August of 2013, Tyler was named the South Carolina Broadcasters Association Television Personality of the Year. In addition to his duties “on the set,” Tyler hosts several WACH franchises, including “Tyler’s Travels,” which finds him exploring the Palmetto State and beyond for the interesting people and places that make the area magical. He has been known to swim with piranha, come face to face with an anaconda, and play tug-of-war on a “Wild Wednesday,” and on “Food Fridays,” Tyler cooks with, and gets secrets from, some of the areas most talented chefs in the area, and shares great deals with viewers. He also writes and produces long form special presentations for WACH-Fox, including “10 Weeks at Jackson” and the annual Lake Murray Boat Parade. When not palling around with the G.D.C. team, Tyler works closely with several organizations in the Midlands, including hosting wild content for the Riverbanks Zoo, the First Responders Memorial, and the Heroes Vest Fund. Tyler sits on the board of directors for the National Safety Council and serves as the President of the Columbia Police Foundation. He also works with the Pawmetto Lifeline, and several cancer related charities. In addition, Tyler is a professional emcee and event host. He is also a writer, and pitchman for local and national products. On the rare occasion he finds himself with some free time, Tyler enjoys playing racquetball, spending time with his lab and Chihuahua (yes, a Chihuahua! ), and taking his motorcycle for a spin on the back roads.